Audi is well known for it’s high quality automobiles so it’s expected that when making a bicycle they wouldn’t fall short. Audi’s AG Sport Racing bike is a limited edition release just announced in Japan and it’s price is close to a low end car running at $19,650. 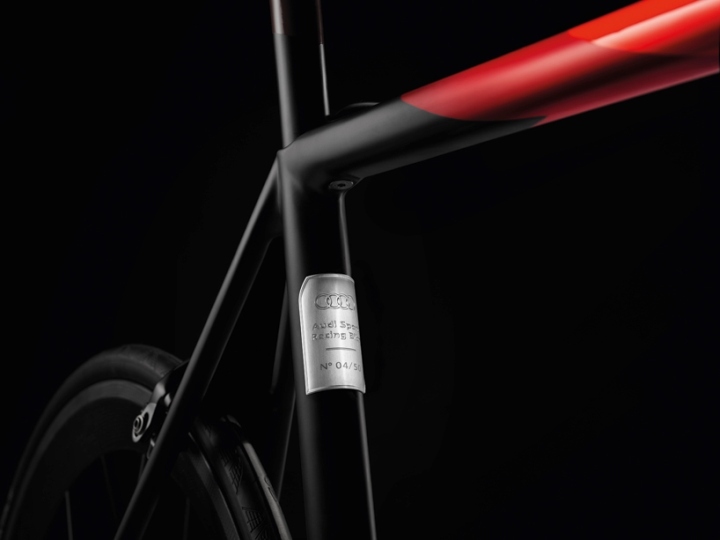 The price tag Audi promises is worth it when you get your hands on the lightest frame known to bike kind. 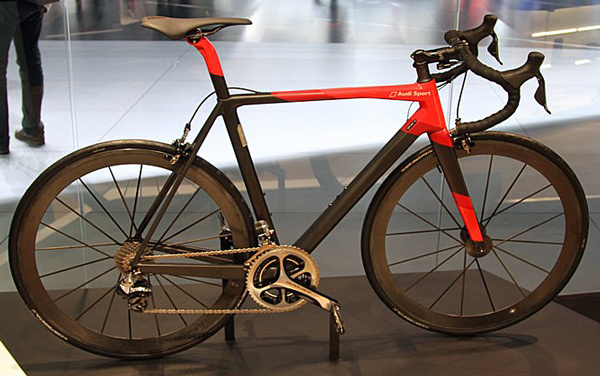 The carbon fiber T1000 is a very strong material used to build the cycle and it weighs roughly a pound and a half. That’s lighter than the new Macbook. First shown at the Geneva Motor Show in March, only 50 of Audi’s AG bikes are available for sale worldwide with only one hitting Japan soon. But why would anyone buy such an expensive bike? There comes a time when we will have to accept that it isn’t in our best interest to have so many cars on the road. A bike saves cost in the long run, provides healthy exercise and is saves space. So why not make the greener choice with style and grab one of the best bikes on the market?